From linen weaving to sculpture, chocolate-making to whiskey-blending, crafts are a huge part of Ireland’s heritage. And with skilled creators all around the island, taking home a piece of authentic Ireland has never been so easy. Contemporary creativity, traditional craft and tastes perfected through time: Dublin teems with delectable treats, liquid legacies and handcrafted gems. The Butler’s Chocolate Experience ensnares the sense from the get-go, offering insight into the history of chocolate making amidst rich aromas and a live demonstration from master chocolatiers. 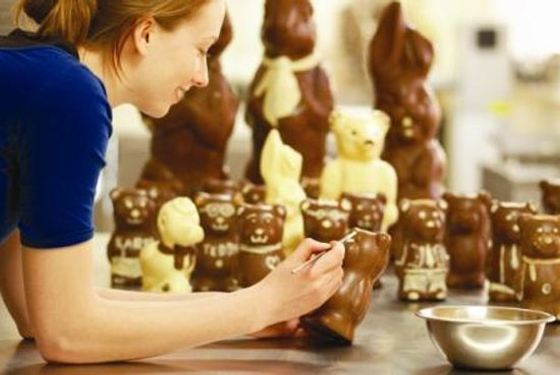 From tastings to self-expression (you get to decorate your own chocolate figure), you’re sure to feel like you’ve won a golden ticket to chocolate heaven! Inhale the fragrant surroundings of the National Botanic Gardens, home to over 15,000 plant species, and best of all – it’s free! Close by the hustle and bustle of Grafton Street, you’ll find DESIGNYARD, home to works from some of the world’s most talented jewellers and craft designers. From exquisite engagement rings to eclectic sculptures, this is the place to find a one-of-a-kind piece in the midst of buzzing Dublin city. Enjoy Irish and international works of art at the National Gallery of Ireland, which has over 12,500 pieces of art on display. 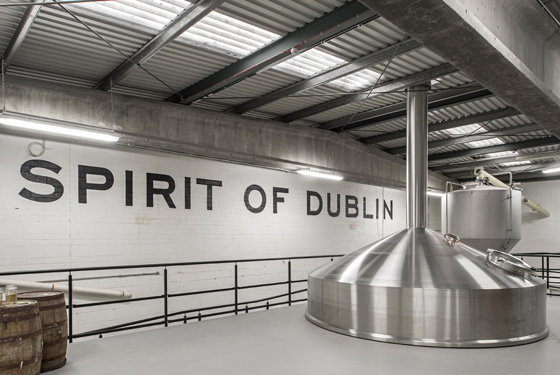 Teeling Whiskey Distillery may be the first of its kind in Dublin for over 125 years, but the Teeling family’s legacy goes all the way back to 1782 when it established its first distillery in the Liberties area of Dublin. Now, a state-of-the-art operation offers visitors a tour of discovery, where they can be enveloped in the sights, sounds, smells and tastes of a working distillery. Head to Bison Bar on Wellington Quay to continue your whiskey education. With over 150 different brands to choose from and tasty pub grub on the menu, you’ll never want to leave. 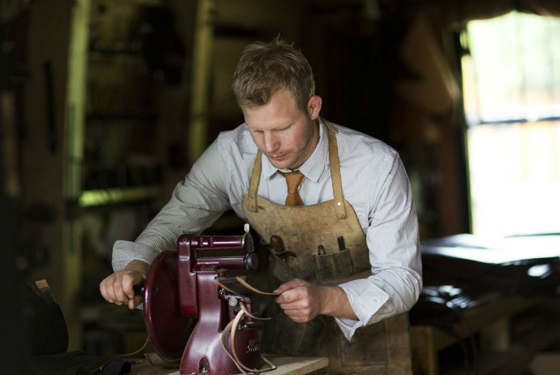 Brothers Jonathan and Mark Legge founded Makers & Brothers to place Irish craft on the international stage, drawing attention to the handmade process of each individual piece. 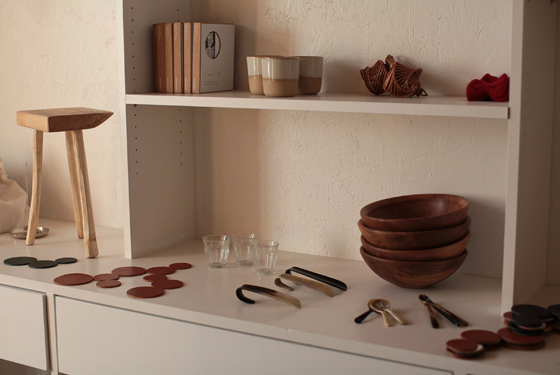 With pop-up stores appearing in the city throughout the year and a website reflecting simple, natural crafts, it's easy to find the perfect item. And international delivery means you don't have to cram mementos into your suitcase for the journey home. For some old-world charm and a homely stay, overnight at Kilronan House and enjoy the unique allure of Dublin's centrally located Georgian Quarter. From medieval cities of handcrafted wonders to the mesmerising art of glass craftsmanship, traditional trade is alive and flourishing in the heart of Ireland’s Ancient East. Known for his unconventional style, Garvan de Bruir uses the finest leather to create beautiful pieces in his workshop in County Kildare. Combining an eye for impeccable design with an instinctive understanding of his chosen material, De Bruir Design is inspired by biomimicry, masterfully crafting the leather to blend with the natural world. Enjoy a flavourful feast in Hartes of Kildare, with a range of locally sourced produce and craft beer in a charming gastropub setting. For over five generations, the Cushen family has been creating fine woollen blankets, scarves and throws at the foot of Brandon Hill in Graiguenamanagh, County Kilkenny. 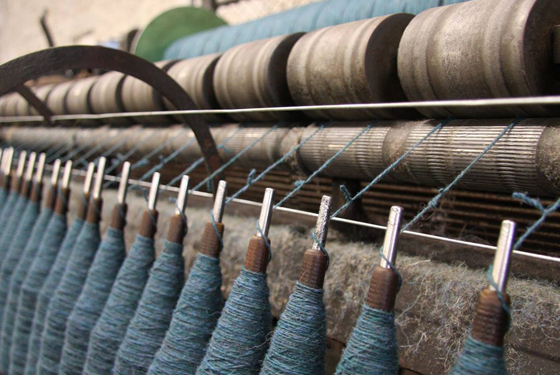 Visitors can attend workshops at Cushendale Woollen Mills for insight into the weaving process through live demonstrations and can avail of the chance to take home a handcrafted piece of heritage from Ireland's Ancient East. Take a wander through the town to marvel at the might of Ireland’s largest medieval Cistercian monastery, Duiske Abbey. 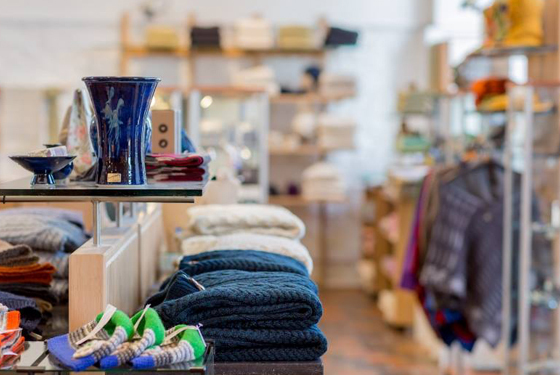 The Kilkenny Design Centre anchors the medieval city's craft scene with a stunning collection of jewellery, knitwear, Celtic gifts, china, crystal, and pottery. Situated within the ground of Kilkenny Castle, its selection is carefully chosen from over 200 studios around the country and the staff is more than happy to offer insight into the design and creator of each piece. Just across the way you’ll find the National Design & Craft Gallery, where you can meet exhibiting artists and craftspeople, attend talks and take part in craft workshops with designers from all over the world. With a history dating back over 200 years and masterful designs revered the world over, Waterford Crystal is an iconic Irish brand, synonymous with quality, tradition and luxury. At the House of Waterford Crystal, you can take the factory tour to see master craftspeople transforming amber-hued blobs of molten glass into delicate works of art. Then choose your own piece of history from the sparkling retail store. On Saturday, head on down to the Farmer’s Market on Jenkin’s Lane, where you can sample a freshly baked blaa – Waterford’s famous bread roll known for its soft, floury texture. Delicious! With outstanding natural scenery around every corner, it’s no surprise that the Wild Atlantic Way is brimming with talented designers, inspired by the history and heritage of their stunning surroundings. 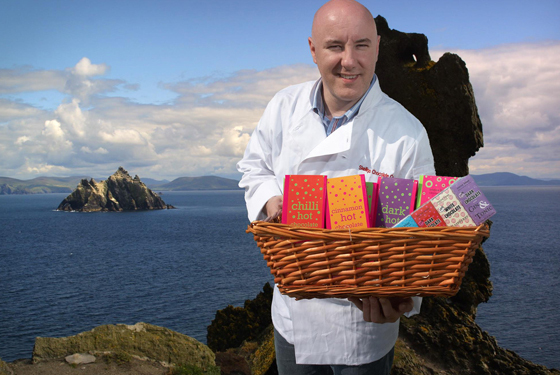 Just off the beautiful Ring of Kerry route, you’ll find Skelligs Chocolate Factory overlooking the famous Skellig Islands on the Wild Atlantic Way. Here, in this elemental landscape, delicious, creamy chocolates are carefully crafted in this family-run business. From February to December, people are welcome to visit and observe the process of chocolate production, taking in the heavenly smells and tasting freshly made treats. Described by the Craft Council of Ireland as “the godfather of Irish craft”, Louis Mulcahy’s stunning pottery is inspired by his majestic surroundings in the Dingle Peninsula, and a trip to his workshop is a real treat for any craft lover. Home to a whopping 70% of Ireland’s wildflower species, the Burren region in County Clare also hosts The Burren Perfumery. 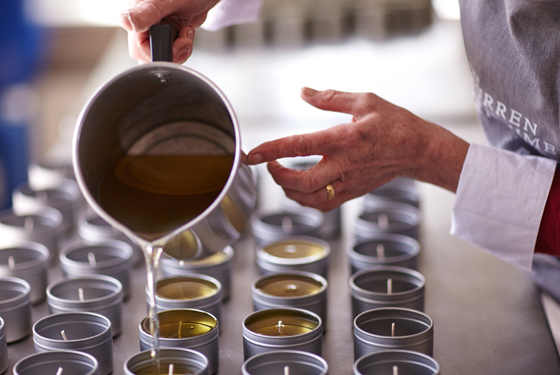 Nestled amidst this moonscape of limestone terrain, the family-run perfumery takes inspiration from its unique surroundings to develop a range of handcrafted perfumes, soaps, lotions, candles and balms. With a herb garden, busy blending room and tea rooms on site, your senses are sure to be enticed. Take the time to explore the remarkable landscape of the Burren and Cliffs of Moher Geopark – the scenery is simply spectacular! 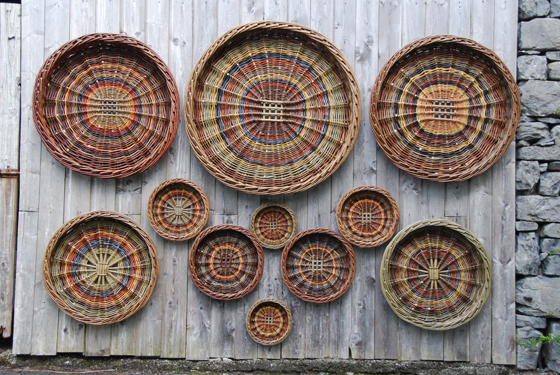 Using the wild beauty of Loch na Fooey in County Galway as his inspiration, Joe Hogan weaves his baskets the old-fashioned way, with natural willows that grow around the waterfront in his native Gaeltacht village of Finny. With a career stretching back to 1978, Joe has earned a stellar reputation for strong, durable and spectacularly beautiful baskets and he shares his knowledge at basket-making courses throughout the year. Don’t miss a demonstration of sheep-herding by Joyce Country Sheepdogs in Connemara. There have been Joyces settled in this area for almost 700 years and the present family, Joe and his wife Mary-Ann, are only too happy to share their love of farming and dog-handling with visitors. The heritage of tweed production is literally woven into the history of Ardara, a small heritage town in County Donegal. 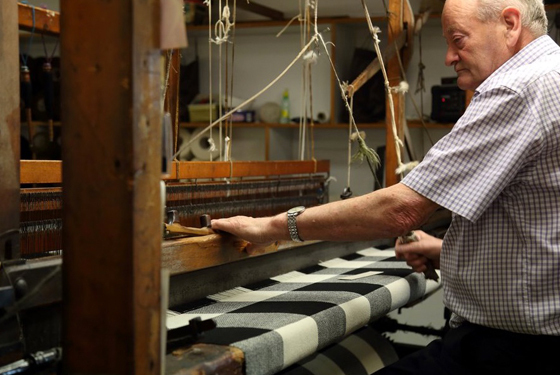 Triona Donegal Tweed Visitor Centre is a hub of activity, where you can witness master weavers work on looms that are centuries old and enjoy a warm welcome from fifth-generation hand weaver Dennis Mulhern and his family. Step back in time and roam the replica of Dennis’ family homestead at ‘The Weavers Cottage’, enjoy a guided tour and take home a piece of Donegal tweed, made from the finest locally sourced lambswool. 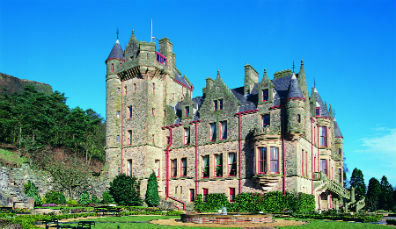 Stay a while and explore the beauty of Donegal with an overnight stay at nearby Woodhill House. With famed pottery legends and jewellers forging the crowns of fantasy rulers, it’s no wonder handmade mastery is a family birthright for many of Northern Ireland’s best crafters. The grand home of Belleek Pottery has stood on the banks of the River Erne in County Fermanagh for over 160 years. Its master potters have been passing down their traditional methods from generation to generation and the results speak for themselves. 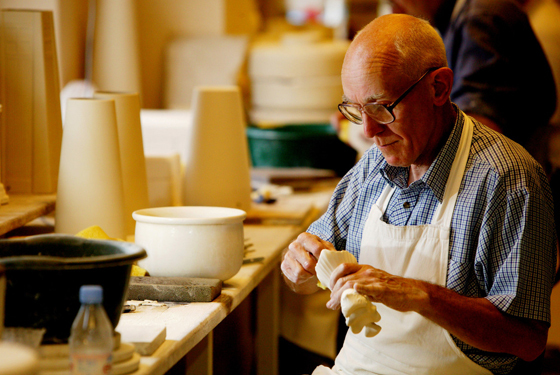 The Belleek Pottery Visitor Centre gives you a chance to try your hand at the craft, creating your own piece of Belleek Fine Parian China and taking home a unique keepsake of your visit to the home of this world-famous brand. Take a trip to the mystical Boa Island and examine the curious two-faced Janus stone figure carved by the Celts centuries ago. 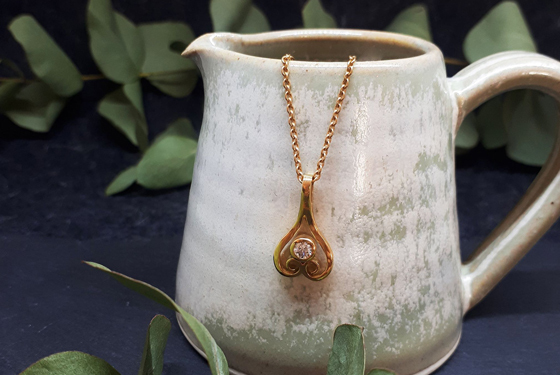 Founded by Bill and Christina Steenson over forty years ago, Steensons contemporary design has forged a signature style in the jewellery world. Visit their workshop in the charming village of Glenarm in County Antrim, and you can observe these masters at work, learn about the family business and view some of their designs in the gallery. 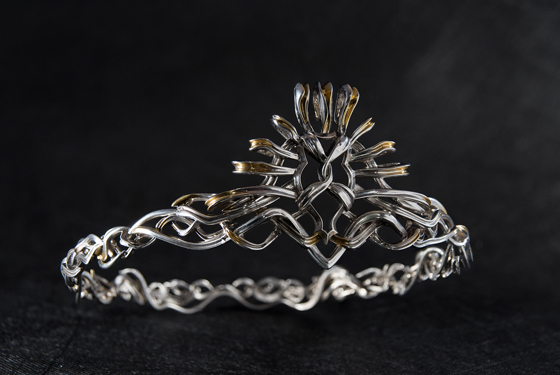 Fans of Westeros can even buy replicas of the crowns and jewellery made for HBO’s hit series, Game of Thrones®, and feel every inch the King/Queen of the North. 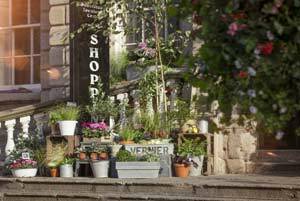 For a selection of local handmade crafts, food and fine art, visit Blackthorn and Willow in Glenarm village. 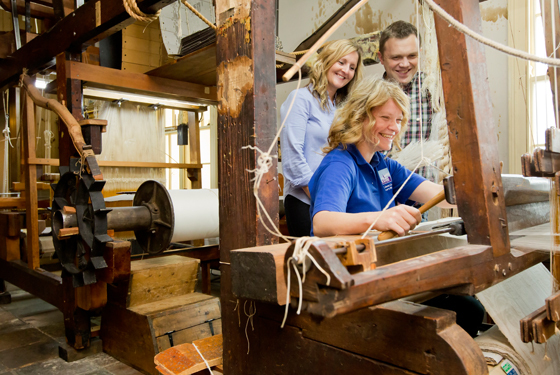 Based in Lisburn city’s oldest building, the Irish Linen Centre and Lisburn Museum invites you to wander through the proud history of Northern Ireland’s linen heritage. After experiencing live spinning and weaving demonstrations and exploring galleries depicting the lives of linen workers, you'll see how closely entwined the linen legacy is with the heritage of this historic city. Tuck into tasty dishes made with Northern Ireland’s best ingredients at the Square Bistro. If you’re looking for craft created in its most natural state, the idyllic setting of Turnip House knitwear nestled in the Mournes area of County Down is the place to be. 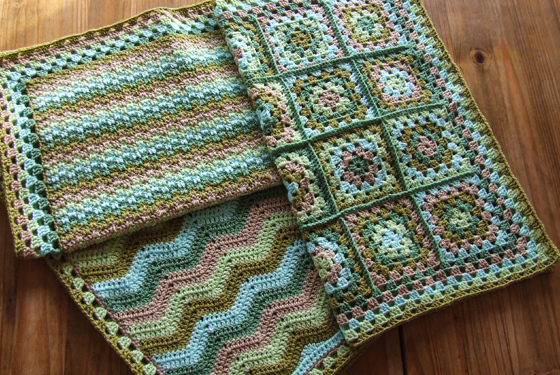 Elaine and John McCombe make knitwear such as sweaters, hats, slippers and brooches by hand, inspired by ornamental Celtic designs of the past. The talented duo conduct courses that focus on the art of felt-making, sharing their talents with visitors from near and far. Get lost in the Peace Maze at Castlewellan Forest Park and walk amongst some of the oldest and rarest trees in Europe, set against a backdrop of the magnificent Mourne Mountains. Literature, theatre and music all blend together to form Dublin’s rich, quirky and creative cultural scene. An epic food market, buzzing nightlife and some truly Titanic histor: it's all happening in Belfast city. 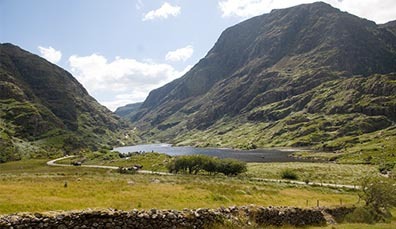 Down winding country roads and along cliff-side routes, discover some of Ireland’s best-kept secrets.